2013. 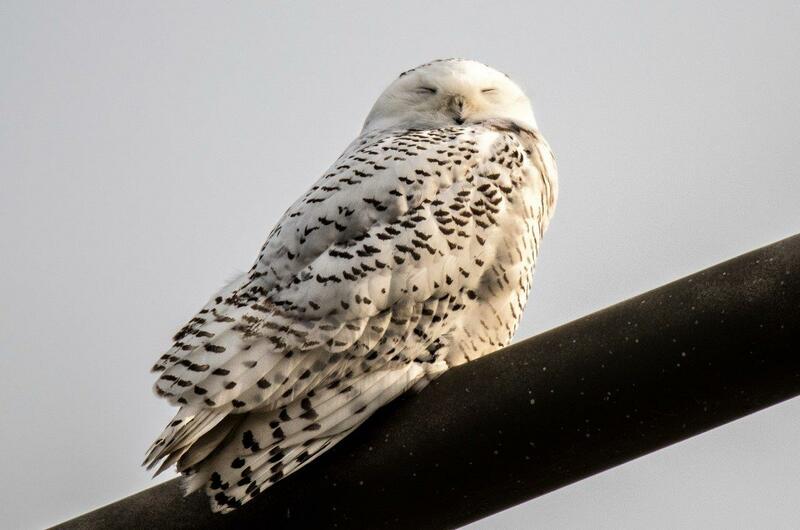 This bird was roosting in Evanston. We obviously just endured a tough year. The bad news far outweighed the good. Fortunately, there were birds. Watching birds can slow things down and help us forget, for five minutes or five hours. I hope you took advantage of our hobby’s calming effects, just like me. We needed it. The 2017 birding year was filled with news, remarkable sightings and some sad goodbyes. Before jumping in, allow me to mention a few far-flung stories that I believe capture the wonderful unpredictability of birds and birding. In Western Australia, four friends found and photographed a night parrot, a species presumed extinct for 100 years. Their search took nearly seven years. 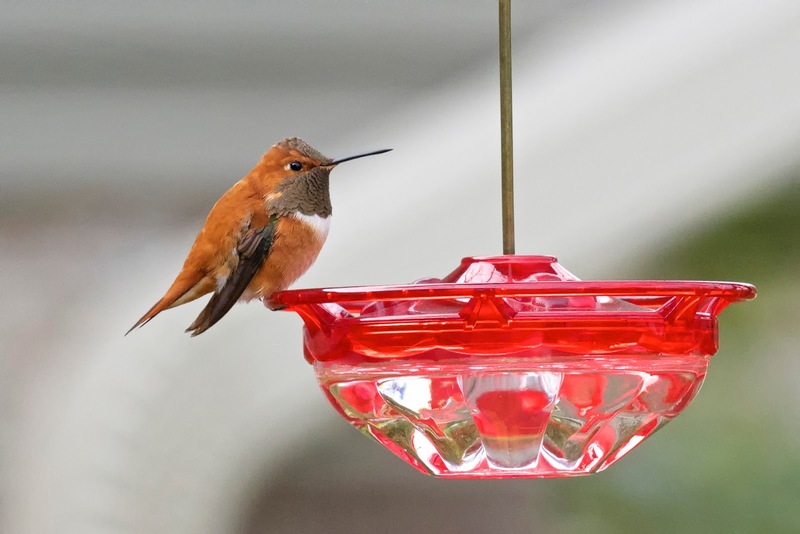 The lesson: Persistence and patience, combined with a little luck, usually get the bird. A red-winged blackbird, North America’s most abundant species, showed up in the U.K. for the first time. The Brits went mad, some chartering planes to reach the remote Scottish island where the bird appeared. Would we do that if a chaffinch, dirt common in England, landed two hours north of Bismarck? Yes, of course! My favorite non-local story of 2017 comes from Maine, where in April a male vermillion flycatcher was detected by a web-cam pointed on an osprey nest. The southwestern beauty was a first for Maine, and what are the chances of it getting caught on camera? 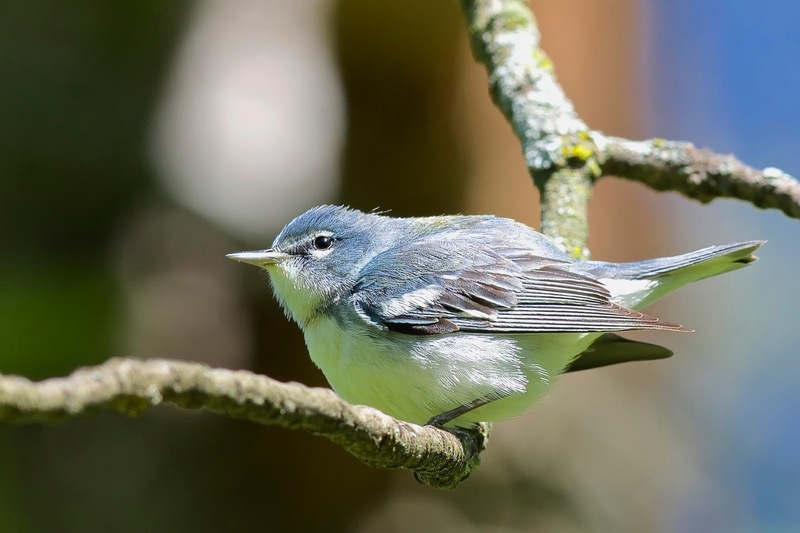 Here’s the kicker: the bird was reported by an observant birder watching online in Germany! 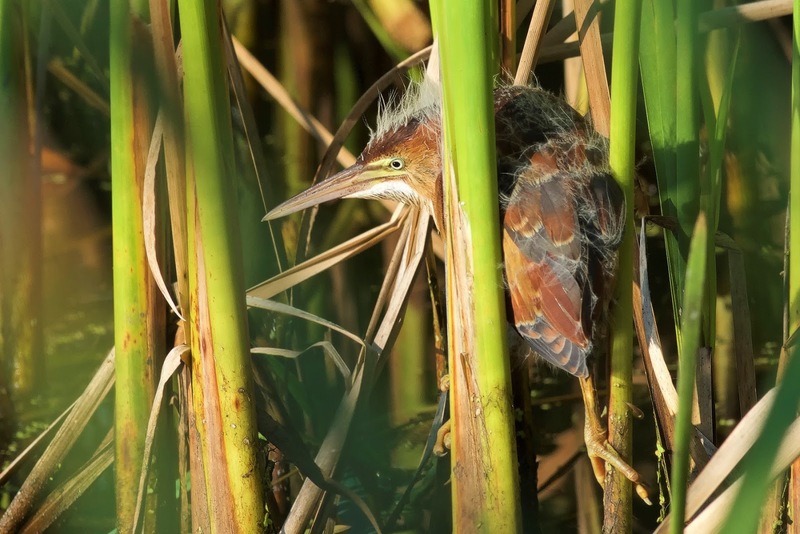 Thanks to her, a few lucky birders got to witness an epic bird in person. Evanston’s Judy Pollock won the American Birding Association’s 2017 Betty Peterson Award for Conservation and Community. ABA cited her two decades of bird conservation work in the region, including the Lights Out Chicago initiative during spring and fall migration. Kudos, Judy! Eagle Optics, the go-to source for binoculars and scopes, shocked the birding community by announcing its closure. The Wisconsin-based business grew the hobby and supported bird conservation throughout its 30-year history. EO will be missed. Some birders might also miss the Thayer’s gull. Not me. Thayer’s got the Pluto treatment in 2017, deleted as a species and “lumped” with Iceland gull. We lose a tick on our life lists but will no longer struggle with a notoriously difficult bird to ID. Ranger Rick, a magazine I once appeared in with my butterfly collection, turned 50. I still look for it in doctors’ waiting rooms. Did you catch the video of a yellow-bellied sapsucker clinging to a moving car in downtown Chicago? It’s worth a Google, if only for the “conversation” between bird and driver. Also in the Loop, Vera Miller added winter wren to her office window list, spied from the 10th floor of the Monadnock Building. The bird was on a fire escape across the alley. That, my friends, is a good eye. Andrew and Rebecca Steinmann were outside baggage claim at O’Hare, awaiting a taxi, when an American woodcock flew by and plopped down on the sidewalk next to them. Unlikely or rare sightings add spice to our birding. I try to keep up, but this 2017 highlight reel is by no means comprehensive! Notable DuPage findings included a record-high 10 barred owls on the Spring Bird Count. A pair of summer tanagers visited Herrick Lake, and a yellow-crowned night heron appeared at Cricket Creek in Addison. A calling whip-poor-will surprised a homeowner living by Willowbrook Forest Preserve in Glen Ellyn. Three surf scoters were well seen at West Branch Forest Preserve (Bartlett) in October, and a dozen trumpeter swans paddled around Silver Lake at Blackwell Forest Preserve (Warrenville) on Dec. 13. Morton Arboretum lived up to its hotspot reputation by contributing western kingbird, pileated woodpecker, summer tanager, blue grosbeak, yellow-throated warbler and red crossbill. Adjacent to the Arb, a little blue heron stopped at Hidden Lake. St. James Farm (Warrenville) also surrendered a blue grosbeak. Spotters at Naperville’s the Greene Valley Forest Preserve hawkwatch enjoyed Mississippi kite, Swainson’s hawk, American anhinga, northern goshawk, golden eagle, whooping crane and a one-day hill record 12 bald eagles on Oct. 15. 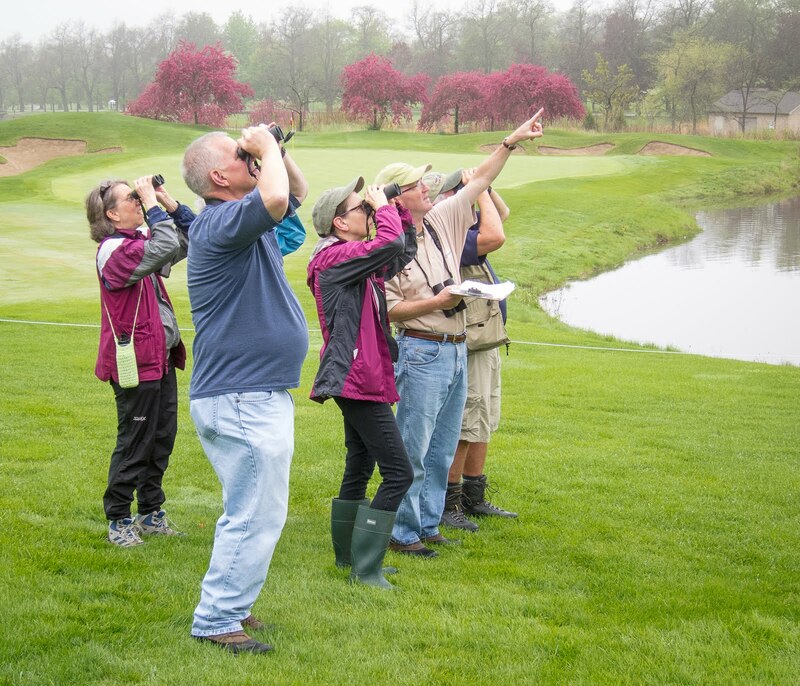 Volunteer birders, organized by the DuPage Birding Club, have now collected migration data for 12 seasons, September through November. Fermilab, in its 50th year, attracted white-fronted goose, common gallinule, red-necked phalarope, white-rumped sandpiper and mountain bluebird. 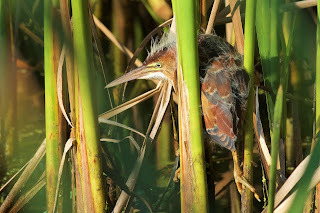 Least bittern, a secretive marsh species, delighted Fermi birders (including me) in July. One of the most interesting birds of the year was a cerulean warbler/northern parula hybrid, discovered at Fabyan Forest Preserve in Geneva. Additional Kane County highlights: spotted towhee and yellow-crowned night heron (Aurora), white-winged dove (Kaneville) and a backyard rufous hummingbird (Elgin). I could devote a full column to Chicago’s Montrose Point, where, on May 16, southwest winds triggered a one-day record 128 species at the lakefront hotspot. Birds on that magical day included 26 varieties of warbler. Tri-colored Tricolored Heron, a Gulf Coast species. The 2017 Montrose haul featured cattle egret, snowy egret, western grebe, piping plover, laughing gull, American bittern, lark sparrow, scissor-tailed flycatcher, Bell’s vireo, Kentucky warbler, summer tanager and yellow-headed blackbird. Other Cook County goodies: Eurasian tree sparrow (Lincoln Park), king rail (Bartel Grassland) and barn owl (location undisclosed). A black-legged kittiwake found Nov. 26 lingered well into December at Steelworkers Park on Chicago’s South Side. While stalking the kittiwake, some lucky birders also bagged snowy owl and red-necked grebe—not a bad trifecta! Libertyville birder Andy Stewart crushed his own big year record for Lake County by 13, finishing the year with 282 species. Significantly, his total is one better than the previous high for any of the 102 counties in Illinois, topping Aaron Gyllenhaal’s Cook County record of 281 species in 2013. Among Lake County notables in 2017 were California gull, yellow-crowned night heron, snowy egret, red-throated loon, red phalarope, white-eyed vireo and black vulture. OMG birds included a tri-colored heron at Illinois Beach State Park and a magnificent frigatebird over Channel Lake in Antioch. A young frigatebird, spotted by Melinda Chapman, cruised over Will County in mid-September, likely a Hurricane Irma refugee. Chicago Botanic Garden yielded least bittern, upland sandpiper and hoary redpoll. Al Stokie reported 72 common redpolls at CBG on Dec. 22, along with a pair of monk parakeets, a new site species (No. 242). Glacial Park in McHenry County hosted eight white-faced ibis for several weeks in the fall, and two black vultures roosted there in October. Chasers with ample gas money enjoyed many options in 2017, testament to our state’s amazing bird diversity. A golden-crowned sparrow appeared in Woodford County, and Sangamon recorded its first black-headed gull. Winnebago County posted a pine grosbeak; a swallow-tailed kite flew over Massac; and a wood stork drew birders to Rend Lake in Jefferson. Black-bellied whistling ducks checked into Carroll, and a western tanager landed in LaSalle. Emiquon Refuge in Fulton offered Hudsonian godwit, spotted redshank, Sabine’s gull and western grebe. Douglas County produced a cinnamon teal, and Putnam a chuck-will’s-widow. Three high-demand species seemed to pop up everywhere in 2017: neotropic cormorant, merlin and prairie warbler. Maybe, just maybe, they are becoming more common in this region. Presently, the first snowy owl invasion since 2013 is bringing some winter excitement, especially along the lakefront. Renowned ornithologist Chandler Robbins (1918-2017) passed away in March at age 98. He created the Breeding Bird Survey and coauthored the beloved “Golden Guide” among other lifetime achievements. Marilyn Campbell, a key figure in Illinois Audubon Society history, also left us in 2017. Local birders we miss include Wes Serafin, a conservation champion for Orland Grassland, and Joan Norek, an avid Greene Valley hawkwatcher. Both were always on the go, chasing the hot sightings. In any year, all I wish for is a few nice birds, around home or down the road. The birding gods smiled upon me at the Indiana Dunes Birding Festival in May. A worm-eating warbler, the festival’s most popular attendee, ended a quest that began for me in 2002. I gushed about the experience in my June column. My Glen Ellyn yard list hit 20 years and grew by one thanks to a well-timed Caspian tern flyover in July (No. 116). Other backyard notables were eastern towhee (only my second ever in the yard), pine warbler and purple finch. I won’t soon forget the sandhill cranes on November 18. Thousands streamed over the neighborhood that afternoon, creating a heavenly racket as old as time itself. Yard work can be awesome. Flying cranes are featured on the best postage stamp of 2017, a Nebraska statehood issue. Get some at usps.com. Book of the year: “Birding Without Borders,” by Noah Strycker. Couldn’t put it down! Favorite quote: “We hate nemesis birds, but we love them, too, because it just feels so good to finally connect with them.” ABA blogger Nate Swick said it, and I lived it with that lifer “wormie” at the Dunes. National Audubon, Cornell Lab of Ornithology, BirdLife International and National Geographic have declared 2018 the Year of the Bird. Why don’t we all? This year, let’s hit the trail a little more often, watch those feeders more carefully and introduce others to birding. Remember, too, that birds need our help. Keep calm and bird on!